Rock Solid Speaker Cable Termination! 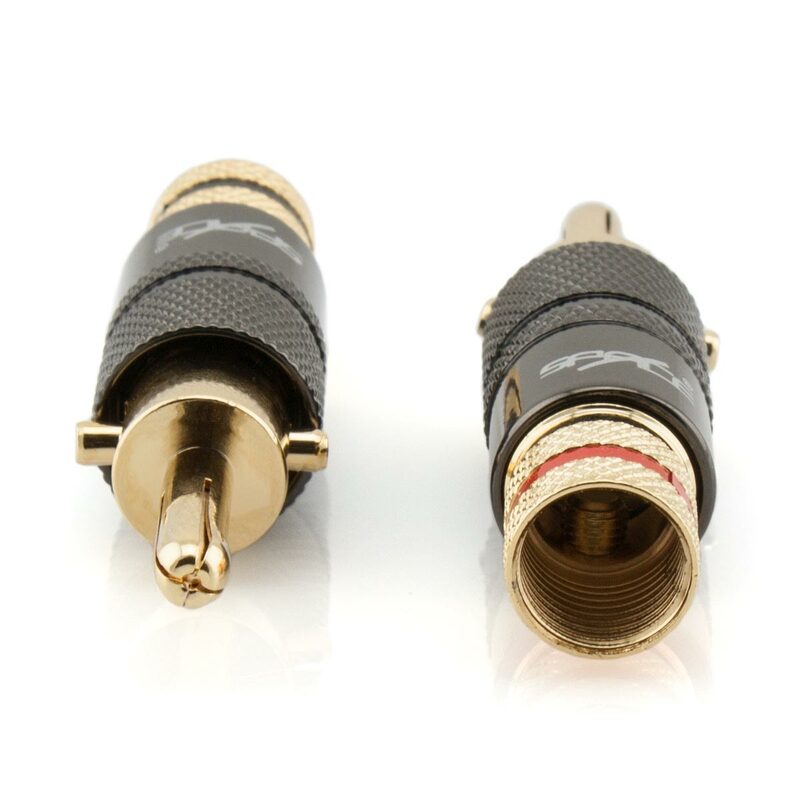 These superb IntraLock™ Banana Plugs feature a unique design that will ensure that your speaker cable is terminated to perfection and will lock the connector internally within the binding post. 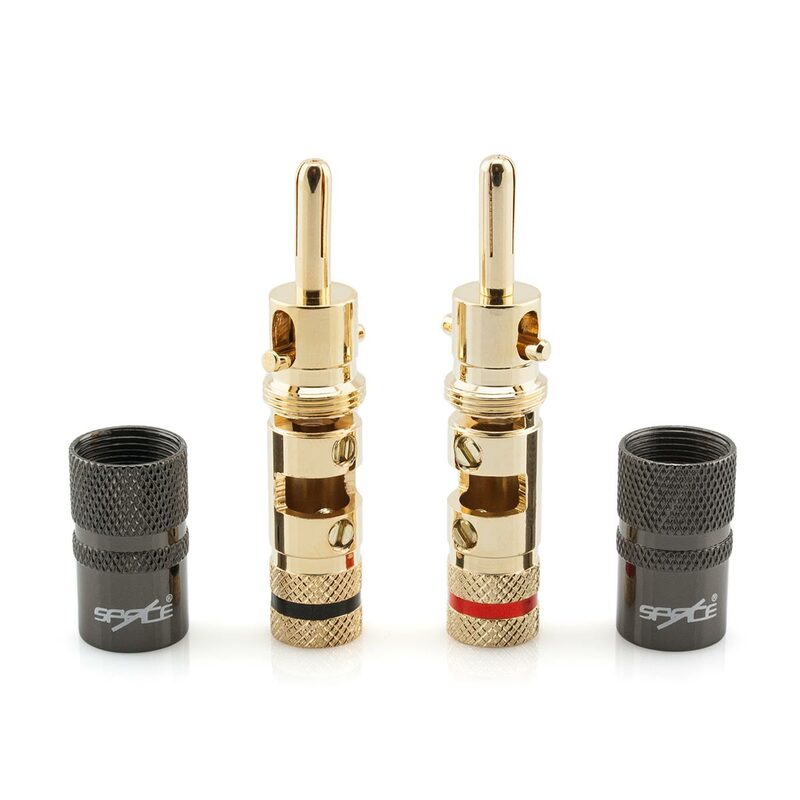 These exceptional audio connectors are precision engineered with a solderless locking mechanism, which means that installation can be completed efficiently with only a single precision screwdriver required. 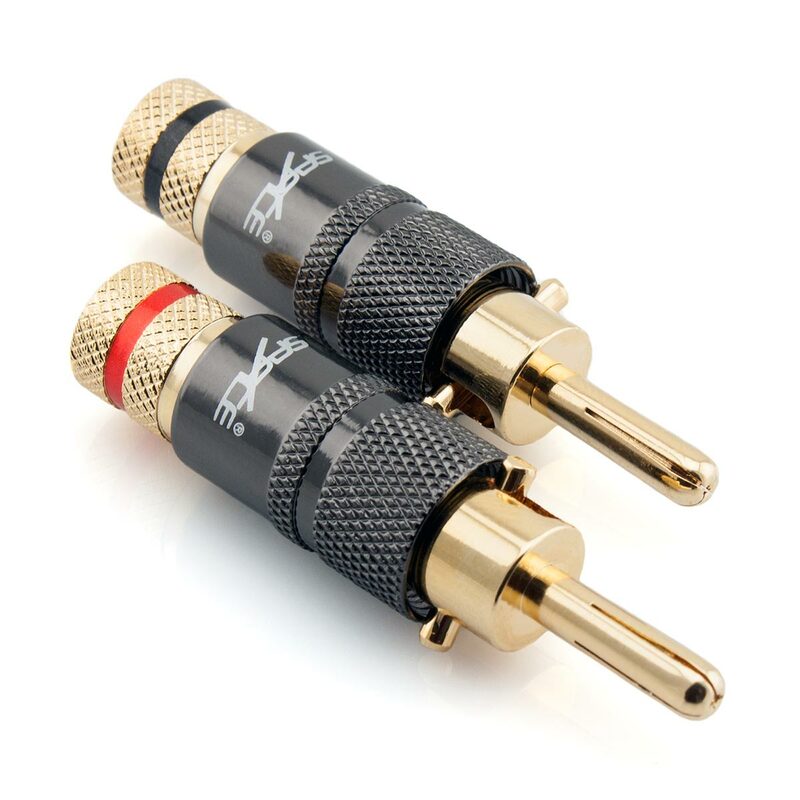 The generous 9.0mm wire entry point will accommodate even the largest varieties of speaker cable. 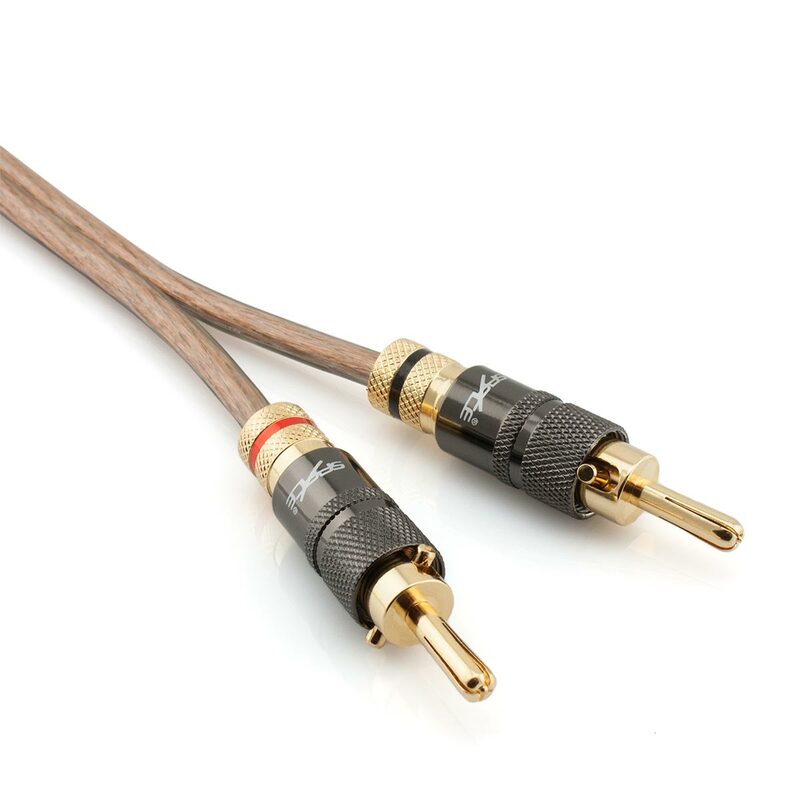 This provides you with the flexibility of being able to use a heavier gauge cable if desired. The high quality 24k gold plated finish not only provides stunning aesthetic appeal but also serves to facilitate an extreme level of durability, which guarantees reliable high end performance. Once the wire jacket is stripped, simply insert the cable into the inner chamber and secure the wire with the two screw locking fasteners. The outer plug housing then serves two purposes. The first is to conceal the inner chamber leaving a perfect finish and the second is to activate the binding post locking mechanism. When the outer plug housing is twisted over the inner chamber, this applies pressure to the mechanical switch which expands the connector section. This grips the binding post internally to provide a solid and secure connection.